is a referral of your family and friends! 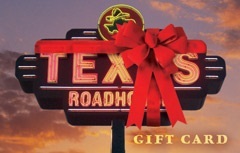 Would you like to receive a $25 Texas Roadhouse Gift Card? What do I need to do, you ask? Just refer a friend or family member to La Donna Weddings. Fill out the form below, and have them contact us about their upcoming wedding or vow renewal. When they book our five-star services, you will be sent a gift card. Pretty easy, isn’t it?